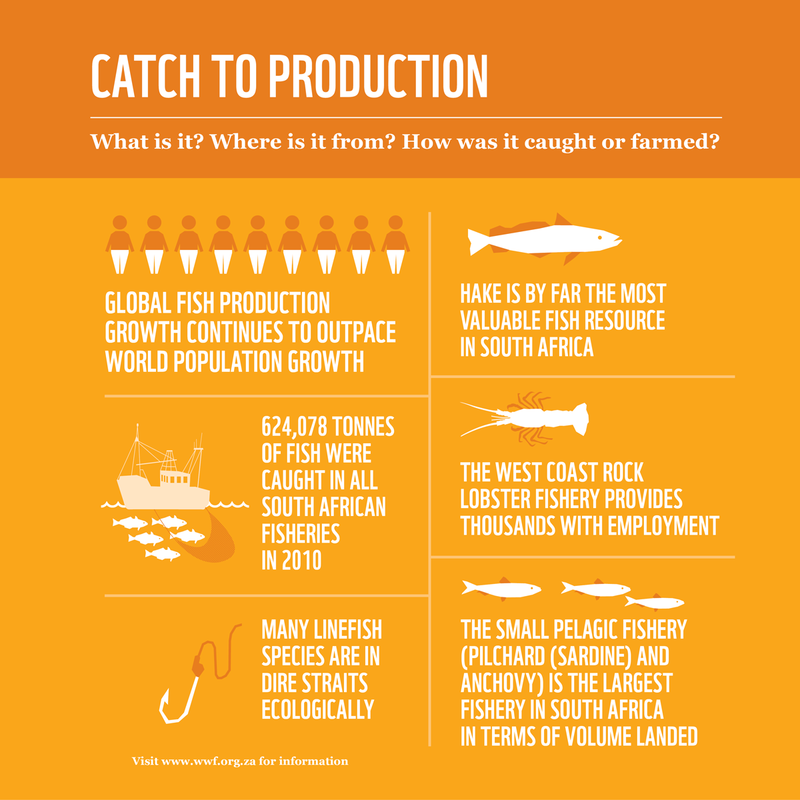 There has been a dramatic increase in the amount of fish and other marine creatures taken out of the seas in recent decades, and globally many fish stocks are already fully fished or overexploited. In South Africa, many linefish species – the most accessible of our inshore fish stocks – are overexploited or have collapsed. Furthermore, often significant amounts of bycatch (incidental catch of non-target species) are caught and thrown back. Some survive, but many don’t. Not only are we catching many fish, but the methods we use to catch them are often destructive, damaging the marine environment. Marine habitats, particularly coral reefs, have been permanently damaged by destructive fishing practices, such as commercial trawling. Marine protected areas (MPAs) are one tool for providing healthy habitats for fish to live and breed in, as well as refugia for endangered species, such as turtles, marine mammals and sharks. MPAs restrict fishing practices or exist as no-take zones that allow depleted fish populations to recover. Yet, only a small proportion of our ocean is formally protected in MPAs and the vast majority remains open to fishing. Overfishing and its associated environmental impacts are among the biggest environmental challenges that our generation has to tackle – alongside climate change. Increasing pressure on already-overexploited resources comes from various sectors, including growing coastal populations and illegal fishing, and remains a big challenge to managing our fisheries sustainably. So what can you do about it? Quite a lot, actually. Why not start here?